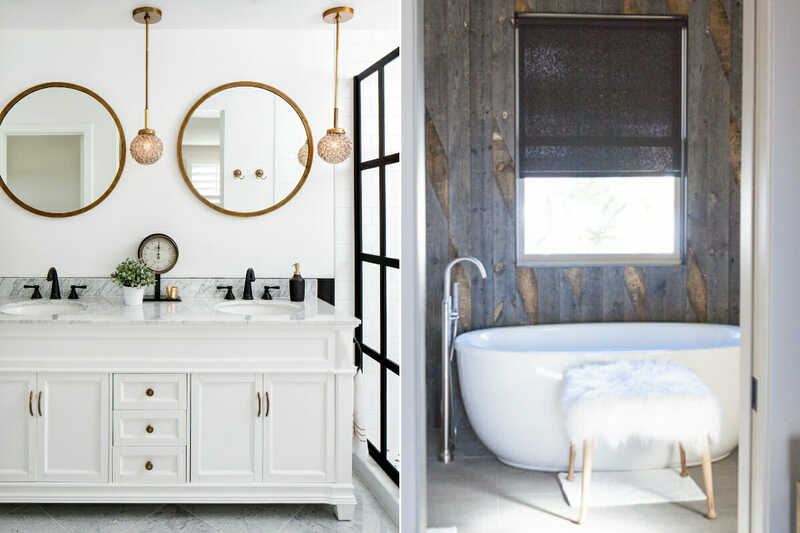 An ultimate spa-like getaway at home or a compact energizing station: whatever your bathroom needs to be, it can be. All you need to do is conquer the remodel, but where should you start? Plumbing, tiles, finishes, can make anyone feel lost and unsure. Luckily, we’re here to simplify your bathroom renovation and help you to get started. We’ve divided the bathroom renovation into 4 phases; follow the process and own the cleansing sanctuary you deserve in no time! Once you can envision what your at-home-spa should look like, it’ll be easier to move on to other parts of the bathroom renovation. Collect inspirational images that have the look and feel you’re after. An en-suite will have a different style than a guest bathroom or a shared family bathroom. 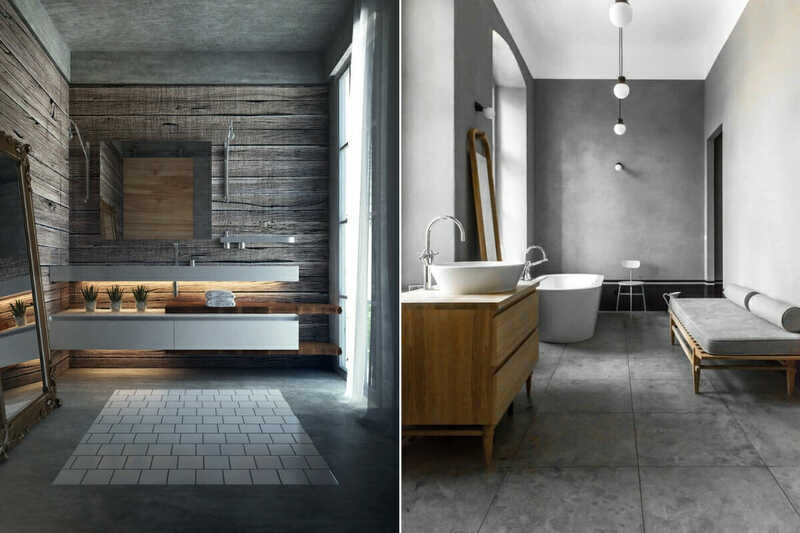 You can create a “my bathroom renovation” Pinterest board and pin all the images that you like. An online interior designer can create a realistic 3D rendering and a shopping list by only using your inspirational images as a guide. Bathroom renovations big or small are made easy with the help of an expert team. Plus, our interior designers secure delightful discounts, which means the renovation might end up costing less than your initial budget! 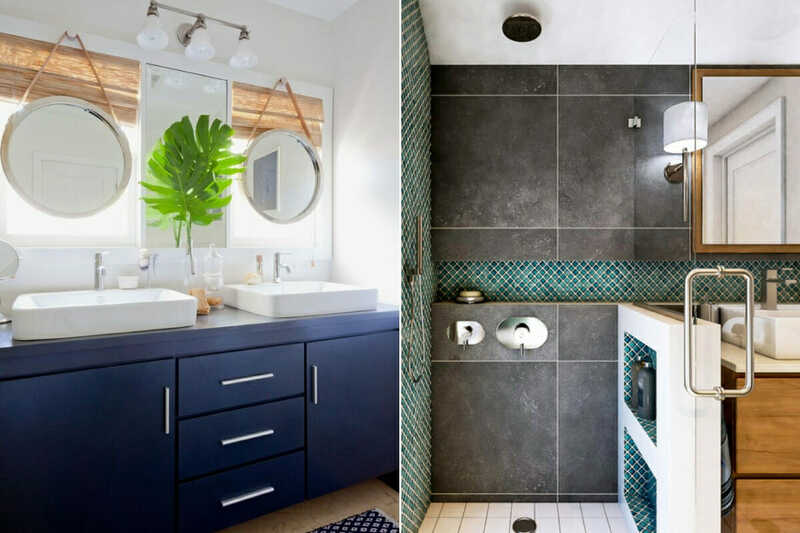 Designs by Decorilla interior designers, Jordan S. and Aldrin C.
Remove confusion and give your project momentum by pinpointing what you can afford and how you’ll go about making your bathroom renovation a reality. 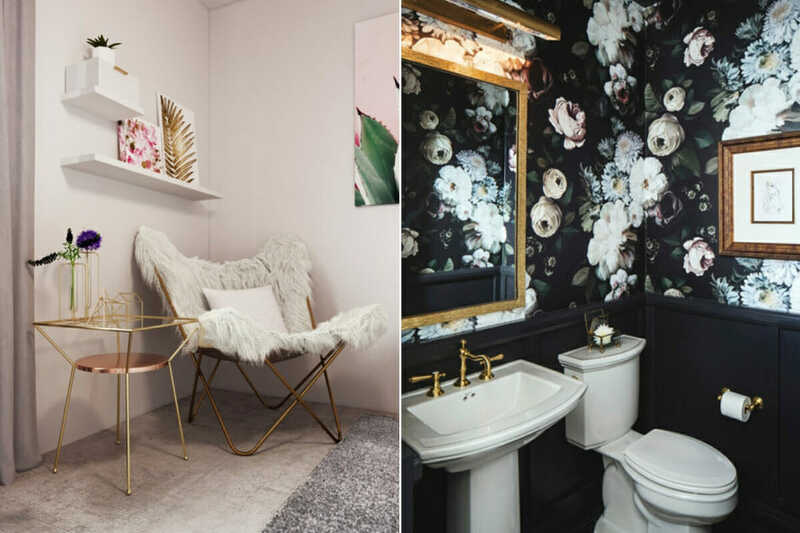 Whether you’re working with an interior designer or conquering your small bathroom renovation on your own, here is what you have to do before getting started. A bathroom renovation can cost between $5,000 – 15,000. However, you want to spend your money wisely. Get quotes from different suppliers for fixtures, hardware, and lighting to help with your estimate. Also, remember to take labor cost and extra services into account. Be realistic of possible delays as the delivery of materials and plumbing alterations will affect your timeline. If you only have one bathroom, you’ll have to factor access into your planning. Aim to finish the essentials first. If you are hiring a contractor, ask friends and family to recommend plumbers and builders that they have worked with and trust. 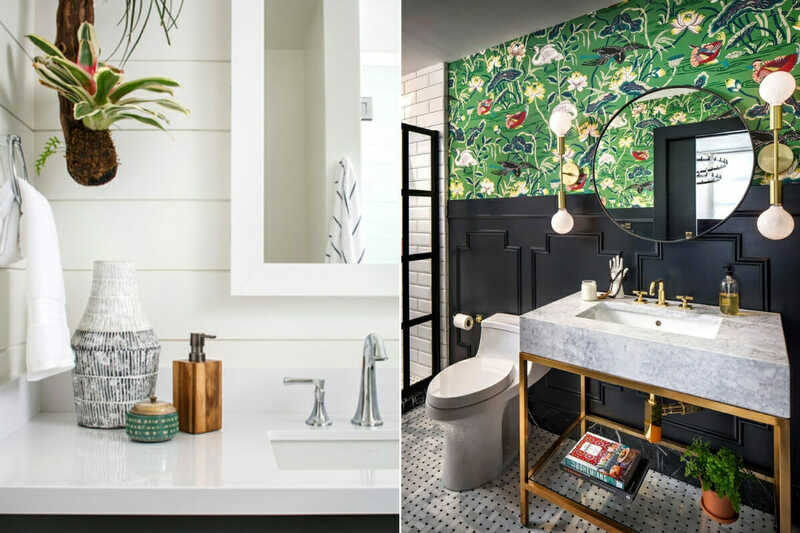 Designs by Decorilla interior designers, Corine M. and Kimber P.
Create a list of what your bathroom renovation needs to help finalize your design. Consider the style of your home and choose a color palette. Cool and earthy tones complement an oasis-like room while light colors are best for a small bathroom renovation. If a shower renovation is included in your bathroom makeover, consider what the household needs. A shower is best for a shared bathroom, to cut on water usage and a bathtub is ideal for a family with young children. Choose between paint, vinyl wallpaper, tile, wood, and glass. Keep in mind that the wall covering should be able to withstand humid conditions. Paint is inexpensive and can be changed easily, wood will need a sealer but adds an earthy touch and glass is expensive but perfect for an open plan look. Determine what your bathroom storage need are and pick a vanity or shelving to suit the interior. Keep in mind that a small bathroom renovation can benefit from alternative storage solutions. Taps, faucets, and showerheads look best if they have the same finish as other fixtures in the bathroom. Chrome is the hardiest with nickel and bronze durable runners-up. Designs by Decorilla interior designers, Aldrin C. and Scott T.
After you’ve completed the initial steps, you’ll be ready to get onto the practical bit of your remodel. It’s best to enlist the help of a professional builder if your project is not a small bathroom renovation. First, begin with all of the ceiling work like adding lighting, changing electric wiring, and painting. Second, move on the internal and external walls. Finish alterations to plumbing and electric wiring before perfecting the finish like installing tiles or painting. Third, install the floor surface. Make sure you use a non-slip material that is water resistant. Also, complete the floored areas of the bath or shower renovation. Fourth, install all the hardware, furniture and finishes. Lastly, clean the area and decorate! Designs by Decorilla interior designers, Sarah M. and Corine M.
A full-scale bathroom remodel can be expensive. 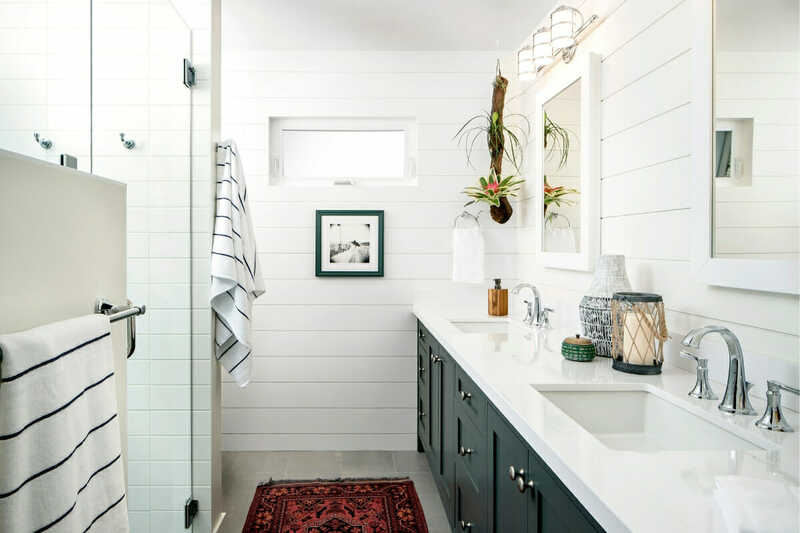 However, a bathroom refresh can fit any pocket. Save up for a significant renovation at a later stage, and stick to a quick makeover. Here are our top 5 go-tos for an instant update that cut costs! Create a feature wall with a striking color, vinyl wallpaper or subway tile. Up your storage game with wicker baskets and mount them to the wall. Go big with and add a bit of baroque luxury with an eye-catching ornate mirror. Update old fixtures with new taps and faucets with a bronze finish for an old-world look. Add a chandelier or a beautiful contemporary pendant light as a stunning focal point. Now that you know how to conquer your bathroom renovation, phase-by-phase, it’s time to get started. Contact our expert designers and schedule a free consultation today!